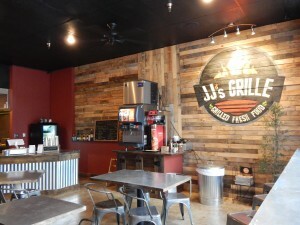 JJ’s Grille is located off of Curry Ford and Crystal Lake. It’s hidden away in a shopping plaza (2950 Curry Ford Road, Orlando, FL 32806) as it freshens up the old block. 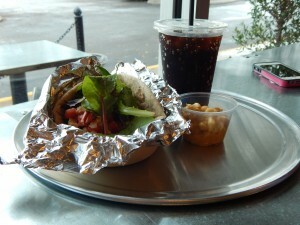 I stopped in, I snapped some pics and, of course, I ate! The verdict’s in; are you ready? We spoke to Julio, the owner, for a little bit and he was very kind. You could just tell how much he loved the flavors and explaining his vision for blending Mexican and Mediterranean specialities. He didn’t point even out how foolish I sounded when I had to ask what Tabboulen was as I butchered the name — big plus. And if you’re a lentil lover, this is just the place for you! Now that they’ve been open almost two months, stop by and check them out. 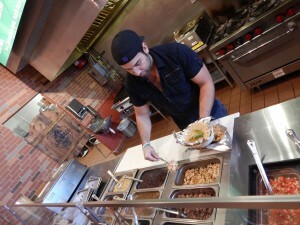 Tell Julio hey for us and that Orlando Food Tours sent ya! We’ll be your guinea pigs! Jump over to our Facebook page and tell us where.